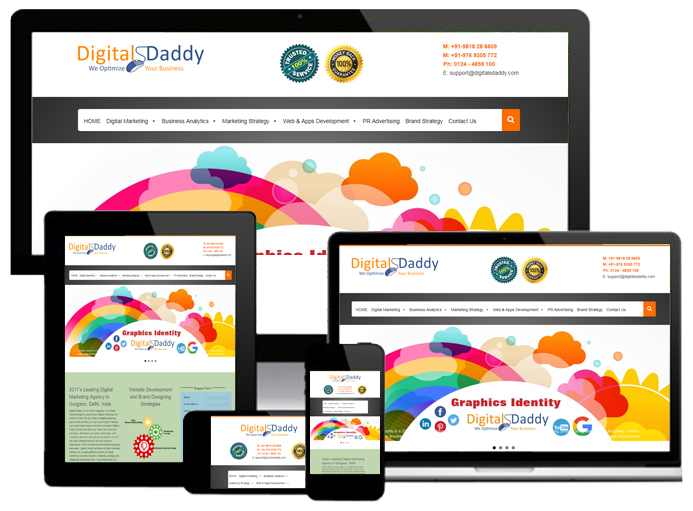 Digitals Daddy is a 2017’s leading ROI based digital marketing agency for online brand building, logo designing, product designing, website designing, custom mobile apps development, social media marketing, email marketing, search engine marketing, affiliate marketing, content marketing, android apps development and search engine optimization services in Gurgaon, Delhi, India. Digitals Daddy, as the name suggests, is an digital marketing agency pioneering in digital marketing with certified credits. We are a team of digital marketing experts that can help you reach your target of making your brand better known and better connected. Digitals Daddy believes that there are certain key points like innovation, dedication, perception, knowledge, and customers and this is why we are in business. It is not only about building websites but also long term relationships. With the expertise and experience gained over years, Digitals Daddy facilitates all digital business solutions on a single platform inclusive of Digital Marketing, Business Analytics, Marketing Strategy and Designing and Development. The prime motive is to deliver actual results to help local and global businesses experience growth and success. 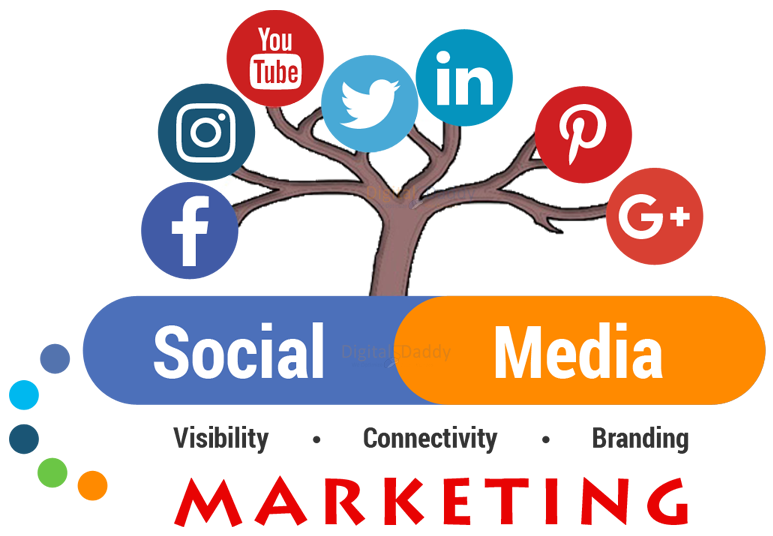 We develop and implement social media strategy to drive brand awareness, sales of company’s products & services across all digital channels Facebook, Twitter, LinkedIn, Google+, YouTube, Pinterest, Instagram, Tumblr, Flickr, Reddit, WhatsApp, Quora, StumbleUpon and many more. We use and manage social media analytics tools to set benchmarks - track success & refine strategy for website, mobile, content and search on social. The first impression is the last impression and it is the prime motive of Digitals Daddy to provide your company website(s) with such engaging designs that their effect lasts forever. With concept visualisation and deep human understanding as the pillars, Digitals Daddy looks into a calculable and extensible architecture of the websites. 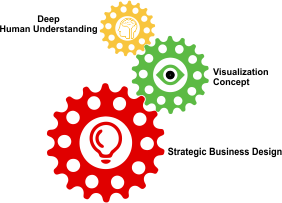 Our aim is to upgrade designing and development technology for Individual, Entrepreneurs, NGO and Corporate with recent development in digital marketing & - using digital marketing tools to derive sales. A few brand management agencies with shifted contemplations, diverse gifts with unmistakable capacities yet one fixation. We focus not just on building brand logos and designs but also building brand recognition and image through the application of effective branding techniques. Our point is to manufacture solid brands that remain against rivalry, win pieces of the pie and fabricate development. Digitals Daddy exists for it has impeccable capabilities based on incredibleness in procedure and plan. We trust that on the off chance we get innovative deduction procedures and seek after unique and natural considering, for extra-ordinary things are done by the ordinary people.Our entire demeanor is in our work and the process is not limited to the attitude that we posses. We utilise semiotics to both, translate markets and buyers and also to highlight the brands through the use of specific styles. Digitals Daddy constructs brands established in culture. 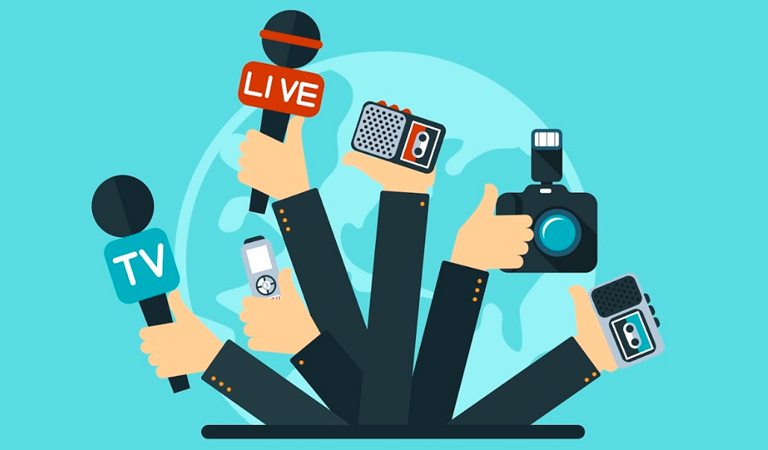 We also help and support in brand promotion, online sales and online reputation management via Social Media Marketing, SEO, SEM, PPC, SMO, Email marketing, Content marketing, Website designing, Product designing and Mobile web & Apps development in Gurgaon, Delhi NCR, India. Digital Marketing Consultant - What We Do? 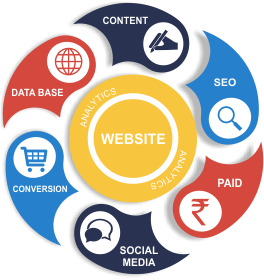 The field of digital marketing is very diverse and we take pride in committing to handle the entire domain with proficiency. The key features of Digitals Daddy digital marketing services comprise of SEO (Search Engine Optimisation), SEM (Search Engine Marketing), SMO (Social Media Optimisation), Mobile Marketing, Content Marketing and Affiliate Marketing among several others. Digitals Daddy India introduces Digital Marketing services to its current portfolio of Account/ Finance, Taxation, Banking, Education training, retail, Fashion, real estate, tour & travel, ecommerce, online store, etc. 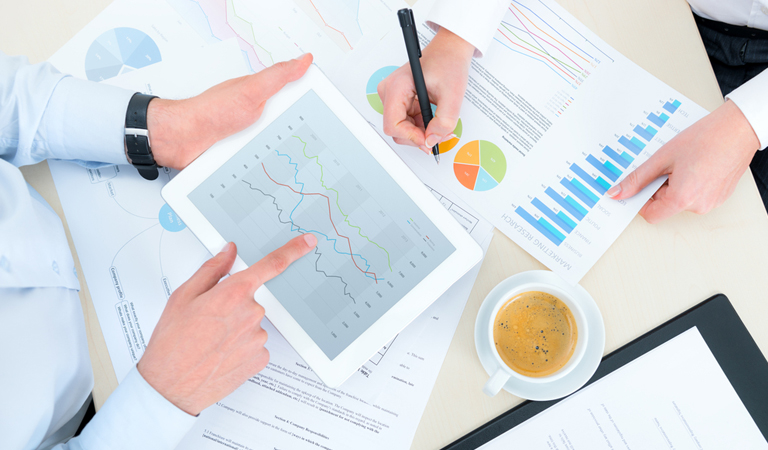 Business analytics takes the approach of identifying the business prospects with the help of statistical analysis of the firm's data. With the help of methodological exploration, the performance of the business is investigated. Digitals Daddy aims at providing data-driven decisions to the organisations, for gaining a competitive edge in the market. The analytical aspects covered include market, price, retail sales, finances, risk and credit. 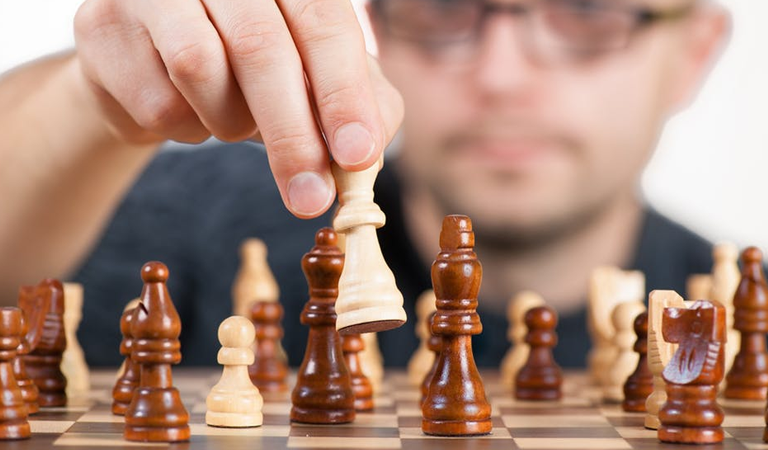 The most important part of the business process is the development of the strategy that will take the project further in the market. The main focus of Digitals Daddy's is to provide your product/service with a cost-effective strategy to enter and later grow in the market. Through refinement of business objective, subtle branding and optimum utilisation of resources, Digitals Daddy brings out the best of your firm. Our team of Young experience professionals will share their experience & - will guide you to get best out of Digital marketing platform to increase business & - achieve your marketing goal & - sales targets.